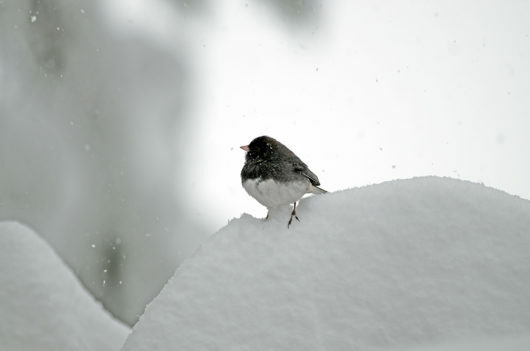 This Dark-Eyed Junco looks as if he’s dipped in snow. That’s actually the color of his belly feathers. He’s sitting atop a snow mound on our deck table. We’d just started to see some grass, once the 10-12 inches of snow that fell a week earlier melted away. Then, this. It’s hard to tell, because the drifts are so high, but we estimate we’ve got about 15 inches of new snow. And the drifts, the drifts are thigh-high on my 5 foot three inch self. Here’s a look at the deck table without the Junco. And I’m jumping the gun a bit on this post because predictions are for another 3-5 inches today. It’s been snowing all morning. This has to go down as one-to-remember. 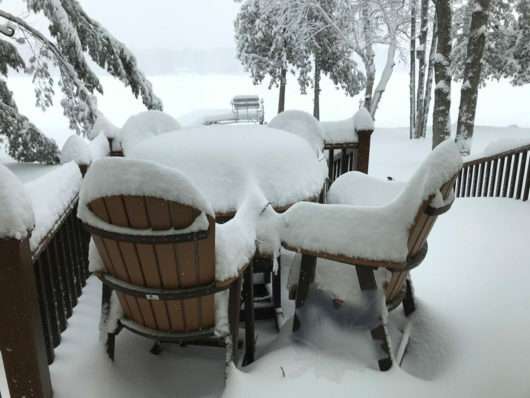 “Up north” Michigan is thinking more about wrestling with snow than tax forms today. Snowmobiles are reporting they’re getting stuck. 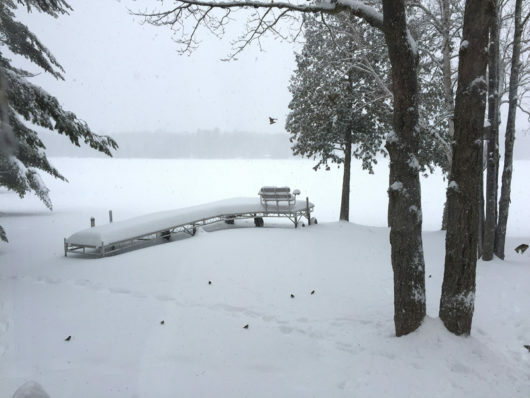 Some of this snow is the gooey, water-laden kind that sticks to shovels, snowblowers, and snowmobiles. 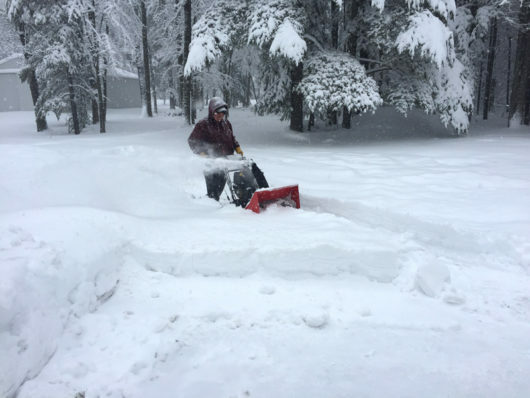 That’s Steve with a big two-stage snowblower, trying to tame the first wave. We ended up hauling out the little guy for me to work on the cement pad during the third effort to get this under control. 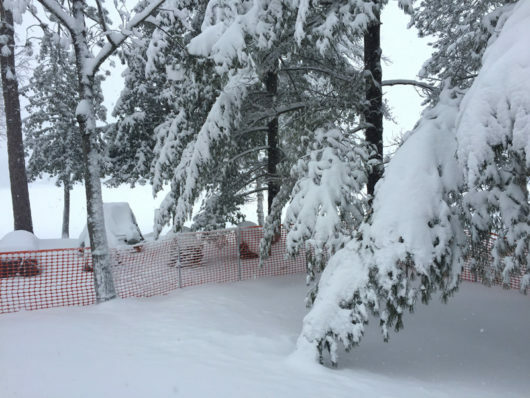 You might be wondering how our snow-fencing effort fared. Good news! This year it didn’t fall over. It stood there all winter, deep into this difficult early spring. But it hasn’t really done anything to significantly keep the snow off the parking pad. It does add a nice splash of orange though, don’t you think? We aren’t even thinking about ice-out yet. Last year the last bits of ice were sent packing on April 25th into the 26th. So we have about ten days to go. I don’t think we’ll make it. At this rate we’ll still have snow on Memorial Day! That’s the lake on the morning of April 16th. It’s been windy enough that the sunflower seeds that are whipping the finch flock into a feeding frenzy at our feeders have scattered around. Those finches who can’t command a perch at the feeders are picking at the snow crust searching for food. Every once in awhile the flock spooks and vanishes for half a minute or so, giving the chickadees, nuthatches, juncos, woodpeckers, and tufted titmice time to feed. We’re worried about the trees on the property. We’ve been losing branches from some of the tall pines. So far, nothing has landed on the house. And nothing so major has fallen that we think the trees won’t pull through. But spring cleanup is going to be a major event. That’s assuming spring is eventually going to put in an appearance. 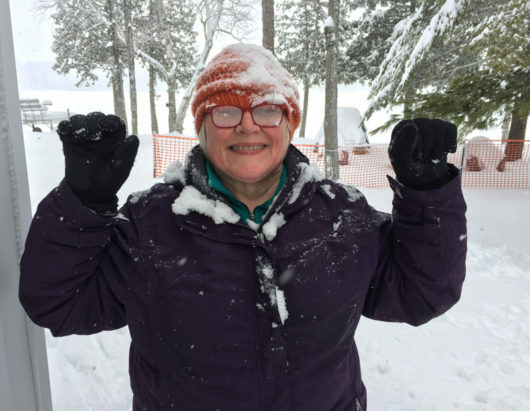 Here’s me, in my snow-covered Central Ave hat by Aimee Alexander. “Cheese.” We’d gone out for a second time to knock snow off the low-lying pine branches. Such a great hat. Knit in Swans Island Merino Worsted in the bittersweet colorway, it even matches the snow fence. I strive to be color-coordinated at all times. 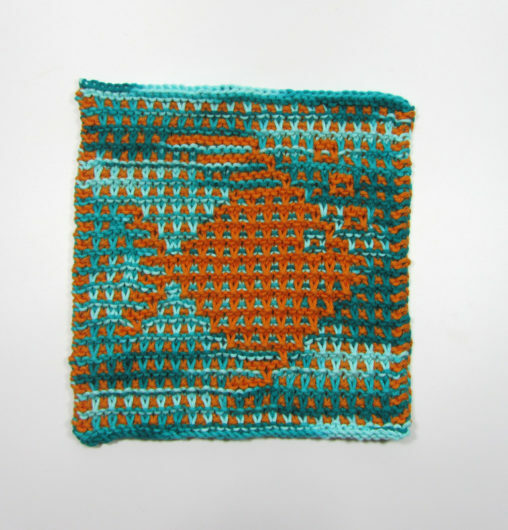 This cloth is one of Amy Marie Vold’s new dishcloth/washcloth patterns: Bubble Bath. 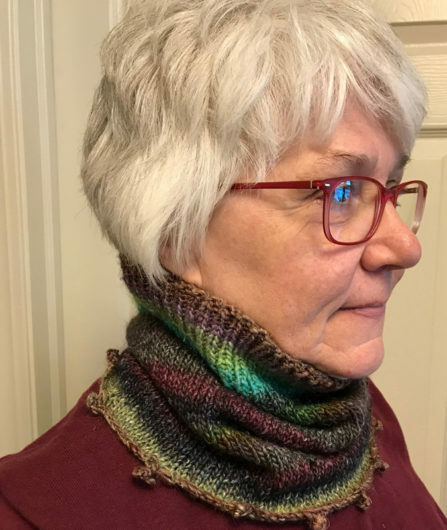 I knit this one in Lily Sugar ‘n Cream, using lime and hot orange. 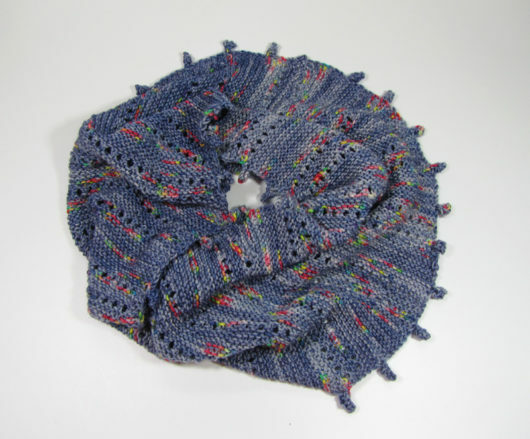 It was so much fun to knit that I had to start another almost immediately. 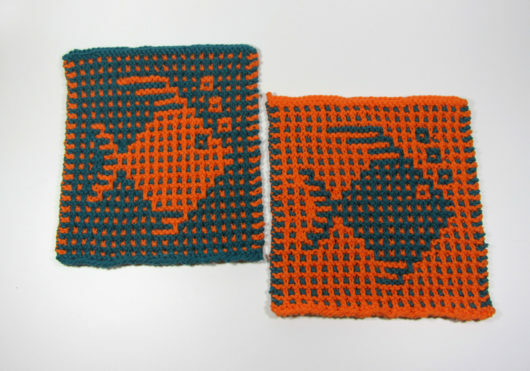 This next cloth is knit in Knit Picks Dishie in aquarium and clementine. I just couldn’t stop knitting these guys. 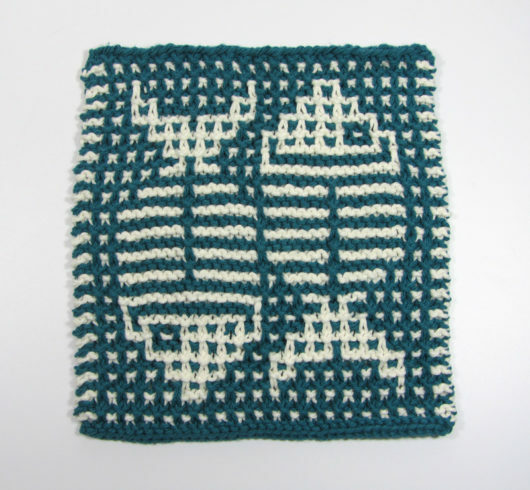 I wanted to knit a set in reverse to see how they’d work out. So next I tried Sugar ‘n Cream in hot orange and teal. 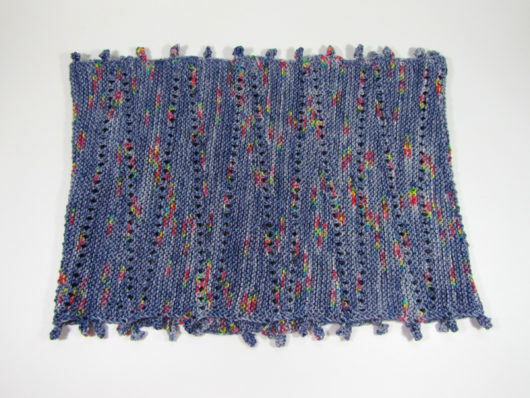 Knitting Vold’s cloths in mirror-image sets is a boatload (or a bathtub) of fun. The way the eyes pop and the way the open mouth is burping out bubbles are perfect touches. 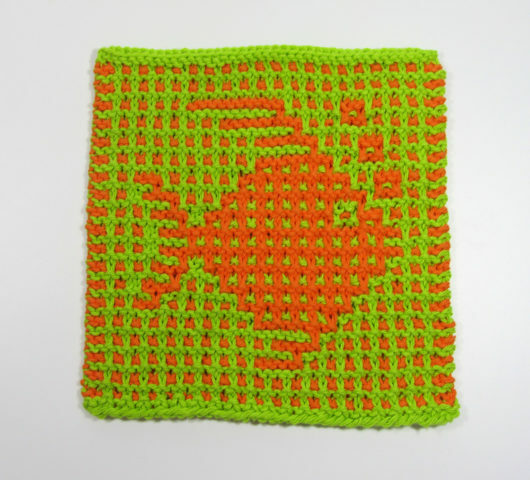 Vold released another fish pattern very soon after releasing Bubble Bath. 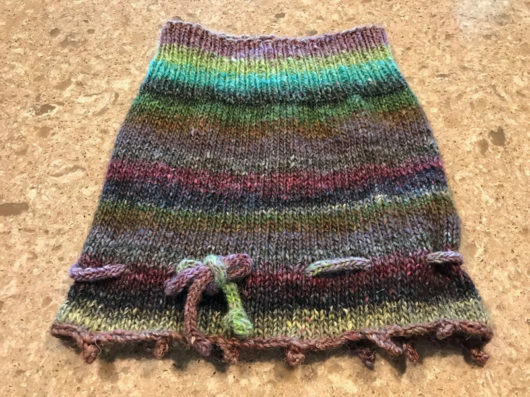 This next one is Shore Lunch cloth. I knit my first in Sugar ‘n Cream teal and ecru. 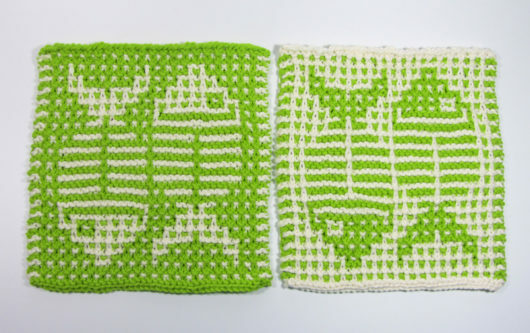 And then came the mirror-image set, knit in Sugar ‘n Cream hot green and ecru.There’s something about the pair of pairs of luncheon fish that appeals. 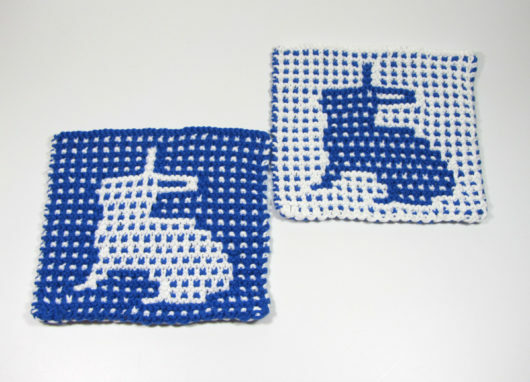 Yes, it’s an odd pastime, this knitting of dishcloths. But I don’t intend to give up my somewhat guilty pleasure. My set of Some Bunny to Do the Dishes was gifted soon after I completed them. Evelyn has been using them as baby doll blankets. Her set was knit in Garnstudio DROPS Paris, white and bright blue. A perfect bunny combo, at least that’s what baby doll thinks. 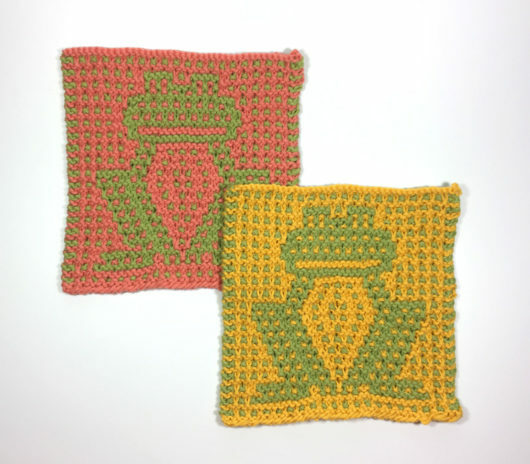 I’ve also recently completed a DROPS Paris set of Frog Prince of the Pad. 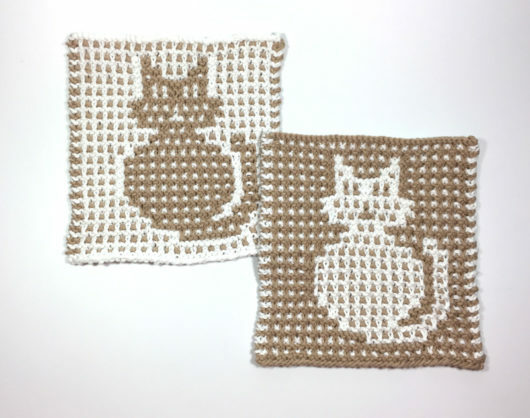 This pair of PurrPETual Domestic Supervisors is in DROPS Paris (dark beige and white). I just got started knitting these guys and the next thing I knew I’d knitted more than a dozen. 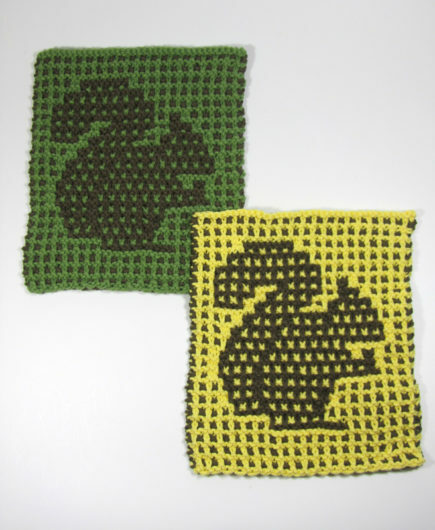 Here’s another set of Squirrel Away the Dishes Cloths. 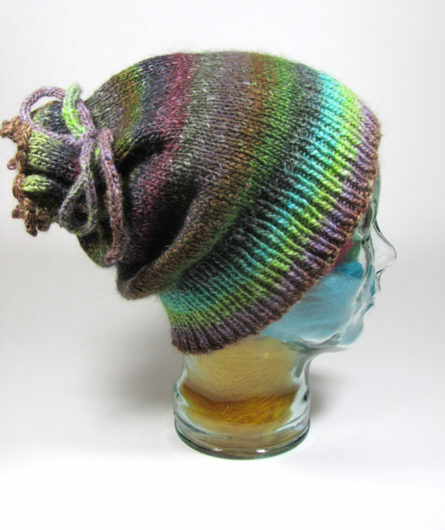 This pair is in Sugar ‘n Cream brown, sage green, and yellow. 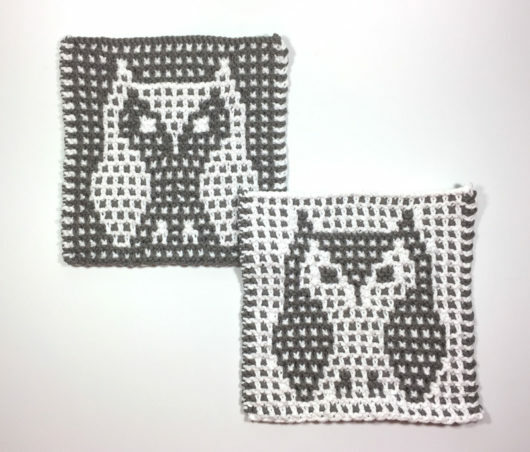 And, finally, just to tax the patience of those who can’t abide knitters who waste their time knitting these useful itty bitty cloths, here’s a pair of Who Owl Help Cook & Clean. They’re knit in Sugar ‘n Cream white and overcast. Try these. 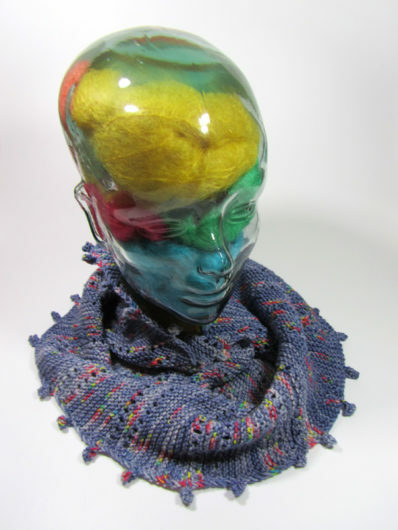 Bet you can’t knit just one.